In 2016 the Design Museum moves from is long standing home at Shad Thames to a venue three times the size, the former Commonwealth Institute building in Kensington High Street. The Grade II* listed building has been transformed by a design team led by John Pawson to include the Swarovski Foundation Centre for Learning, 202-seat Bakala Auditorium and a dedicated gallery to display its permanent collection, accessible free of charge. Within the collection - which started in 1982 as the pioneering Boilerhouse Project in the V&A - are designs that have shaped the modern world from fashion to furniture, product and graphic design, digital media, transport and architecture. The collections, both permanent and temporary, trace the history of design developments, from the origins of mass production to contemporary works. What are the best dining options near Design Museum London? Design Museum gyms, sporting activities, health & beauty and fitness. The best pubs near London Design Museum. 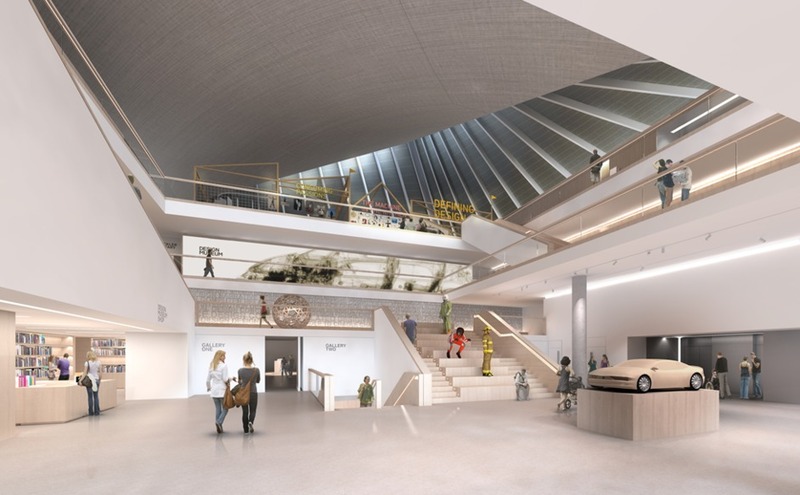 Design Museum clubs, bars, cabaret nights, casinos and interesting nightlife. Where to have your meeting, conference, exhibition, private dining or training course near Design Museum. From cheap budget accommodation to luxury 5 star hotels see our discounts for Design Museum hotels, including Hilton London Olympia Hotel from 89% off.